Drum roll please…peak tomato season is here! 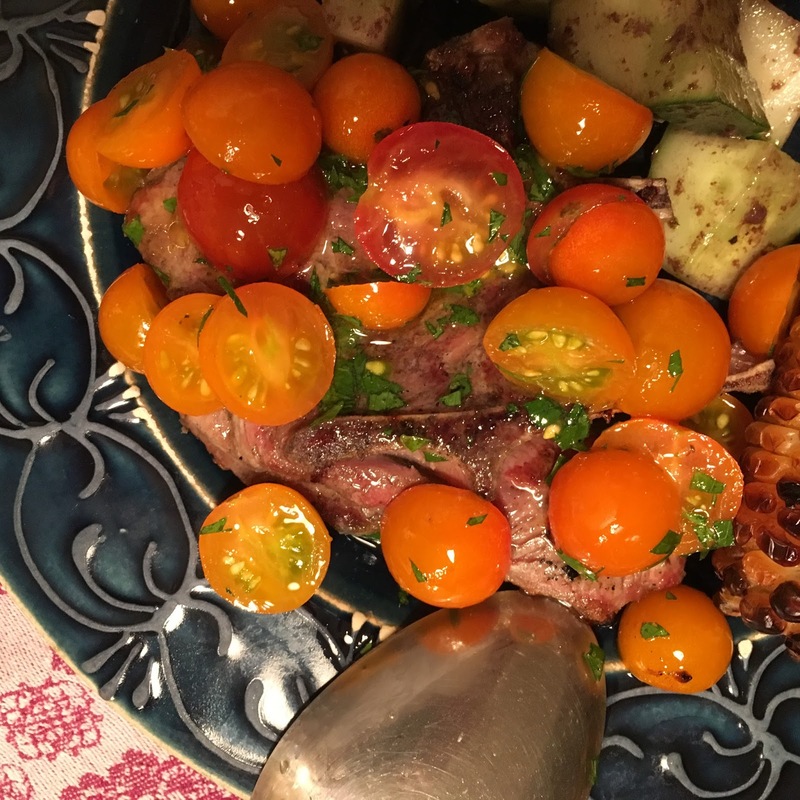 And for lovers of all things simple and easy it doesn’t get any better, like these lamb chops with tomatoes and parsley. Before you even light the grill toss your bite sized tomato chunks with a bit of parsley and plenty of kosher salt and your best extra virgin olive oil. The longer you let that sit the more tomato juice you’ll find at the bottom of your bowl. Be sure to serve your chops with some rice or grilled bread so you don’t take a chance spilling any of the luscious juices when you tip the plate to your mouth at meal’s end.